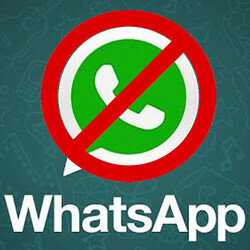 Facebook's WhatsApp could easily go as one of the last of the mohicans in China, a country where messaging services that don't abide by the government's restrictive cybersecurity laws have been blocked partially or entirely. Unfortunately, WhatsApp seems to be the last victim of China's “Great Firewall,” the country's intricate system of internet filters and controls. NYT reports China has disrupted WhatsApp services in the country, as many users say they are now unable to send videos and images through the messaging app. Some can't even send text-based messages, which suggests the Chinese government is set to block Facebook's digital service permanently. China has already issued a new cyber security law last month, which is even more restrictive than the old one. The blocks against WhatsApp originated with the government, according to a person familiar with the situation who declined to be named because they were not authorized to speak on the record about the disruption. Security experts also verified that the partial disruption in WhatsApp started with China’s internet filters. WhatsApp would be Facebook's last major service still working in China, after the country's government blocked Facebook and Instagram back in 2009 and 2014, respectively. Yeah. Many businesses, here, rely on whatsapp to communicate with their Chinese partners. They prefer it to wechat probably because it's more user-friendly—simple and lean—to the average Joe. Chinese government policies on social services and media consumption are quite horrible and stifling.